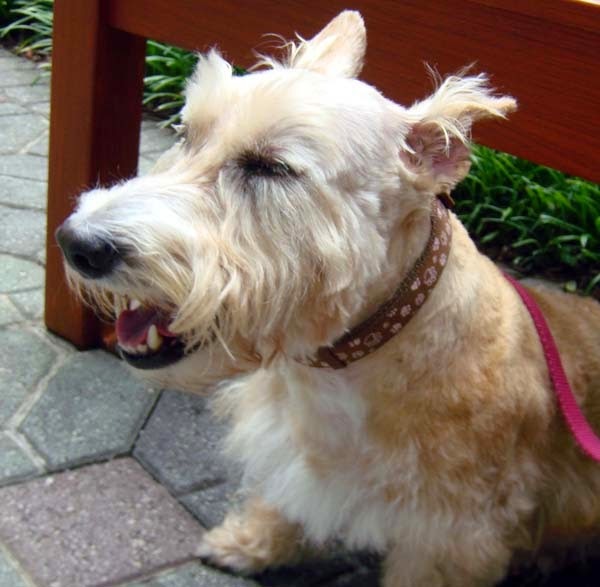 Not long after I started the Scottie Mom blog, someone commented on a post saying, "Scottie gas is the pits!" 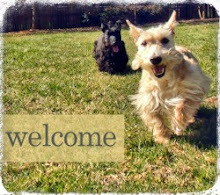 This made me laugh and sigh a bit of relief - I had begun to think my Scotties were a bit unique in their ability to stink up the place (while maintaining an innocent smile, I might add)! One day, Scottie Dad and I were watching TV when I heard this horrendous noise. I looked at Scottie Dad and scowled. How could he be so rude and disgusting? Scottie Dad's eyebrows were raised and he had this look on his face that said, "What the heck was that?" I figured he was just feigning innocence but my eyes followed the direction his fingers were pointing...directly at Mr. K who was looking at his back side as if he was also wondering, "What the heck was that?" Then, I look at my little girl who seemed to be having herself quite the little party in her corner of the apartment. She was all smiles, as per usual, but so much so that she seemed to be laughing at us, thinking we'd never catch on to her silly little deception. It didn't take long for the smell to temporarily permeate the apartment and, while I can't say for sure it was Heather (since both of my Scotties seem to take turns polluting the air from time to time), I can say that I've noticed a pattern to identify her in the future. You see, at first she takes on this normal, unsmiling look as if scanning the room to see who will be able to detect her. Then, once she's done the dirty deed, not a second goes by before the BIGGEST smile covers her face. Mr. K, on the other hand, puts his ears down and almost seems ashamed. Alas, that's the power of personality, I suppose. 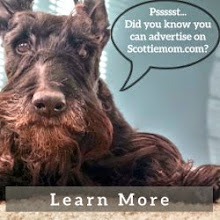 How many other Scottie Moms (and Dads!) have fallen victim to Scottie gas? If you haven't, let me tell you: whoever wrote me saying, "It's the pits" wasn't kidding! OH do we know ALL about it!! Our boys are exactly the same! The Owner says I can be silent but very deadly! Oh yes, there has been the sly Scottie smile here and there. And sometimes they are a bit shaken to have a “loud” one explode from behind. It’s a bit like having someone come up from nowhere and scare you.